Vladimir Angelov graduated in 1986 from the National Ballet School in Sofia, in his native Bulgaria. Parallel with his dancing career, he was also a Philosophy major at the University of Sofia. After immigrating to the US, he completed in 1996 his Masters in Dance & Choreography at the American University in Washington, DC. Mr. Angelov's early choreographies were shown at the New Choreographers on Pointe in New York City, Vienna TanzFest in Austria, Paris International Dance Festival, Japan Fall Festival in Kyoto, All Latin American Dance Festival in Puerto Ricco, among many others. 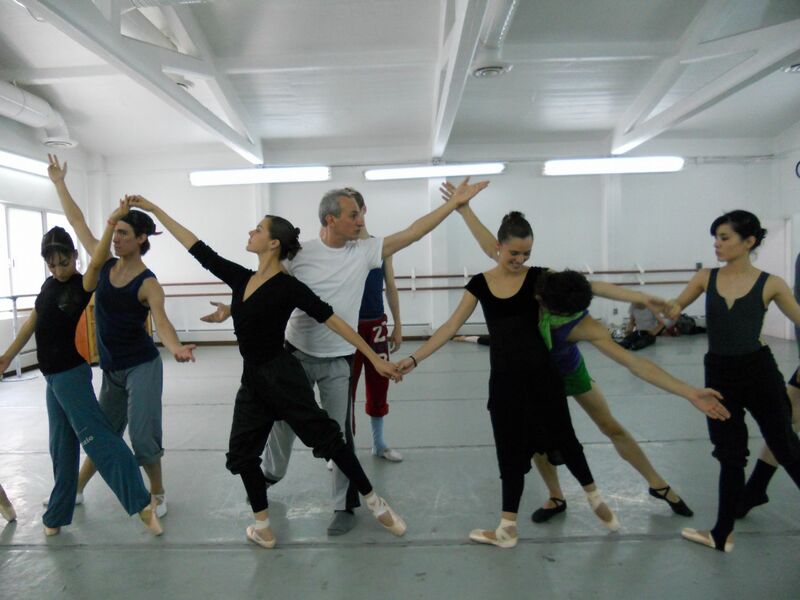 As a choreographer, Mr. Angelov has created original contemporary ballets for companies such as Atlanta Ballet, Arizona Ballet, Indianapolis Ballet, Richmond Ballet, San Francisco Ballet, Washington Ballet, as well as Alberta Ballet in Canada, Ballet Manila in the Philippines, Tokyo City Ballet, National Ballet of Mexico and Nagoya Ballet Theater in Japan, and the Kirov/Mariinsky Ballet in St. Petersburg, Russia. Mr. Angelov has created dances for a dozen of opera productions directed by Placido Domingo with the Washington National Opera at the Kennedy Center, and also has choreographed for diverse musical, theater, film, and television productions. As an author, Mr. Angelov has written over 30 articles, features, reports, performance reviews, and philosophical essays about dance and has published in several European dance magazines including Ballet Journal (Munich, Germany), Ballet/Tanz (Berlin, Germany), and TanzAffiche (Vienna, Austria). His current writings and lectures on choreographic practices feature an innovative approach of teaching choreography by integrating it with other disciplines such as history, anthropology, psychology, cognitive neurosciences, creative thinking and global interaction. As an educator, Mr. Angelov's teaching credits as visiting professor, guest lecturer and choreographer nationally including the Kennedy Center, American University, George Washington University, Dance Place, City Dance Academy. Internationally he has taught at numerous universities and dance companies in Austria, Brazil, Bulgaria, China, France, Finland, Germany, Mexico, Italy, Russia, and Japan.